Be confident when having your vehicle service by any one of our completely knowledgeable tire professionals! 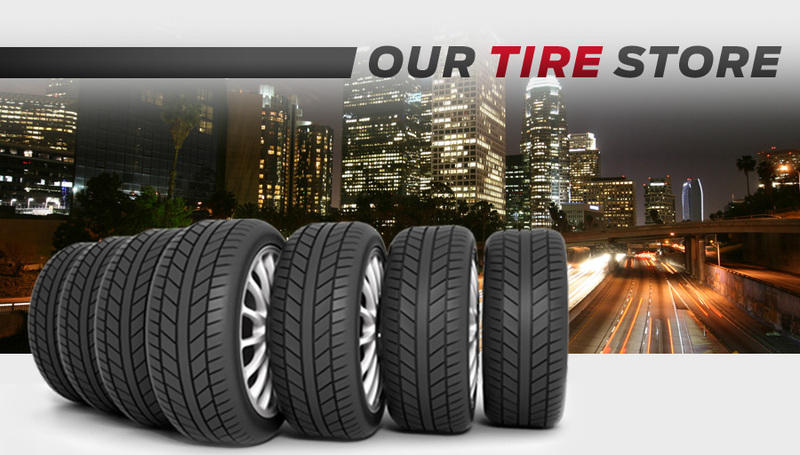 We pride ourselves in having the largest selection of brand name tires at the lowest possible price. Our pledge is to offer you the safest, longest-wearing, best-quality guaranteed tires at a price that can't be beat. We carry an entire line of brand name tires such as Pirelli, Goodyear, BFGoodrich, Dunlop, Firestone, Michelin, UniRoyal, Yokohama, and many other major tire brands. We stand by our promise of low prices on all of our tires. Passing savings on to you is made possible by our substantial buying powers. Countless hours are spent observing competition and their prices to ensure you receive the lowest price possible. If the tires you choose with us are advertised elsewhere for a price that is less (with comparative services), bring it to our attention; we will beat all competitors, GUARANTEED! That is our price promise to you. The very best tire balance available is also included with your service. Did you know that some tire shops offer several levels of tire balancing? Best balance provides the most ideal ride, in addition to allowing the most mileage available with your tires. The tire mounting equipment we use is superior. Rest assured that we can handle all run-flats, as well as wide and low-profile tires. Using the proper wheel weights for your car is also important. Allow wheels are permanently damaged when the wrong wheel weights are used. To avoid this, we use either vehicle-specific wheel weights or stick-on alloy weights. Buying tires from us will ensure your tires are rotated and balanced when necessary. That way, you'll save some time, as there is no need for you to make an extra trip to the tire store. We'll take care of the rotation and balancing when your car comes in for regular scheduled maintenance. Be sure to also check out our other service and parts specials.